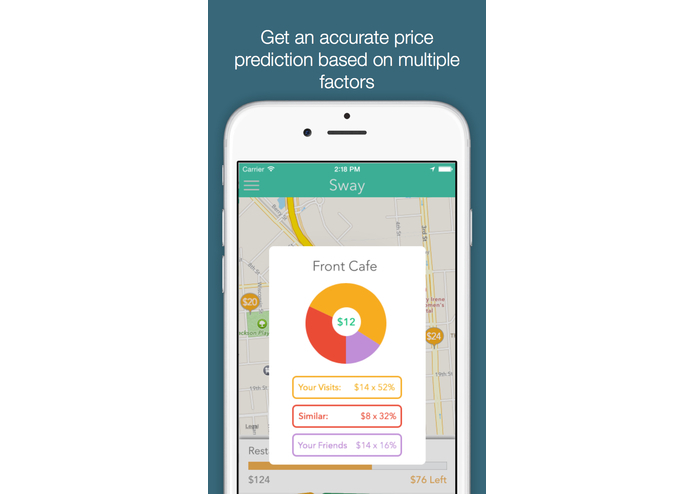 Sway is a simple application designed to help users make better-informed purchasing decisions. By using an intuitive interface, users can find restaurants, bars and other activities around their location, and also get an estimate as to how much they can expect to spend there. Companies like Uber, AirBnB and Instacart are enormously successful in disrupting their respective industries because they give users a sense of control over an aspect of their life. Uber, for example, gives me the confidence that I can get wherever I need to be, and do so reliably and predictably. These companies have exploited the technology we use everyday in order to attain massive scale and success. They create real value for people. 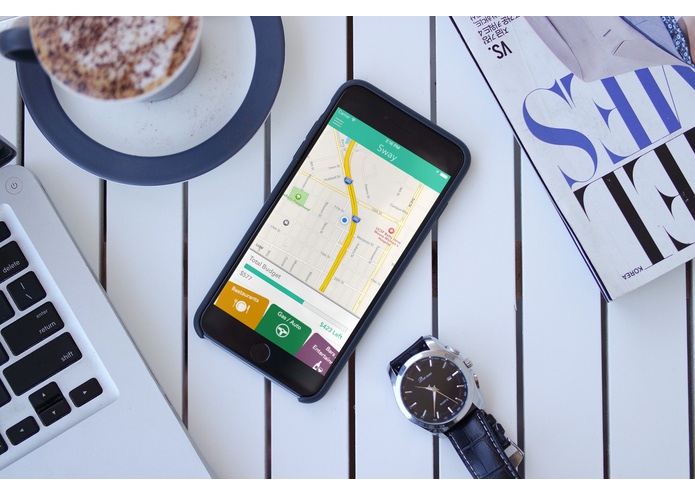 It's time for personal finance to use these technologies to create value as well. 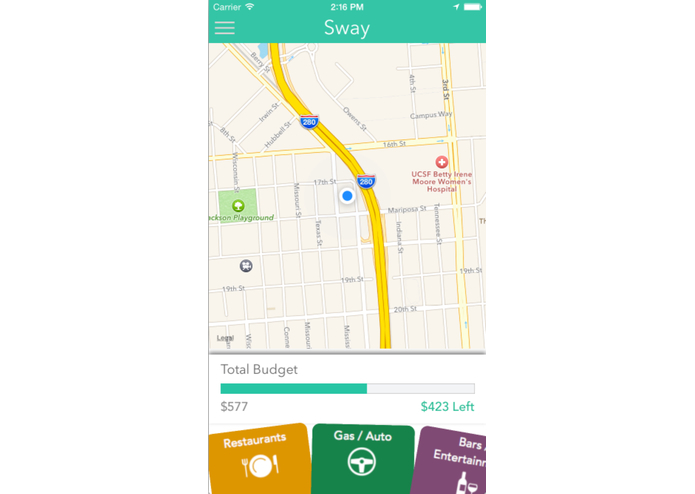 These expenses are hard to track and even harder to budget for, given their variability. Large, recurring expenses like monthly rent, cell phone bills, gym memberships, etc are easy to predict and are easy to stay within budget - it's the 'usage-based' expenses above that cause most over-spending to happen. Lack of context on how much is left in a user's budget, and more importantly what they can expect to spend at a particular establishment, make it difficult for people to spend within their means. 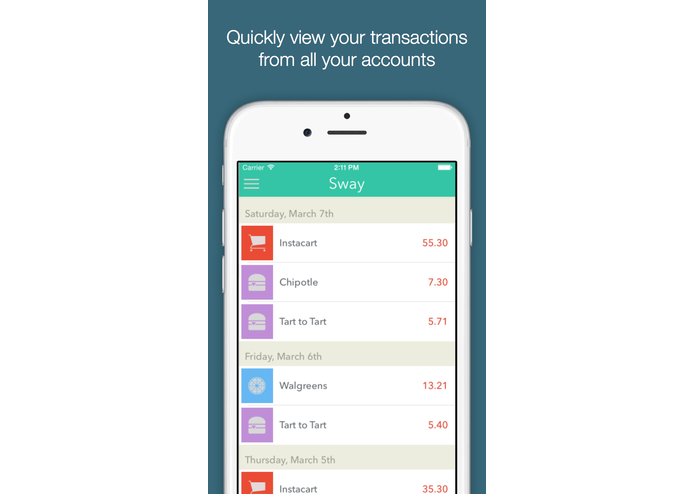 The target user for Sway is a Millenial, and more broadly anyone who uses their phone frequently to make contextual decisions on what to purchase and where to get it. 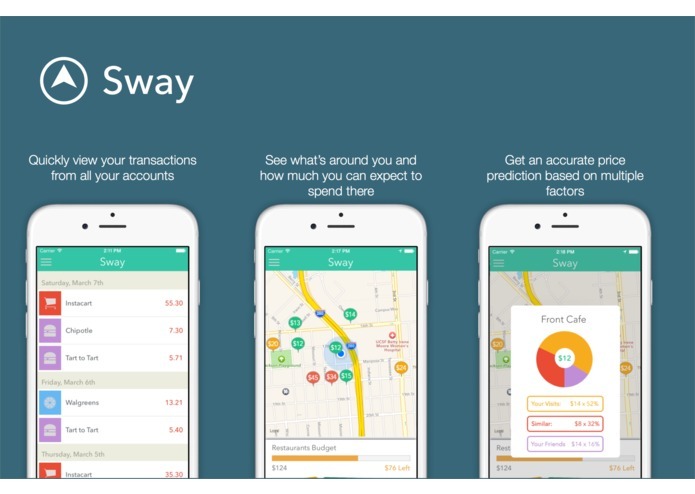 The key feature of Sway is an intuitive map interface that let's the user select a category (which is tied to one of their budgets), and see establishments around them fitting that category. 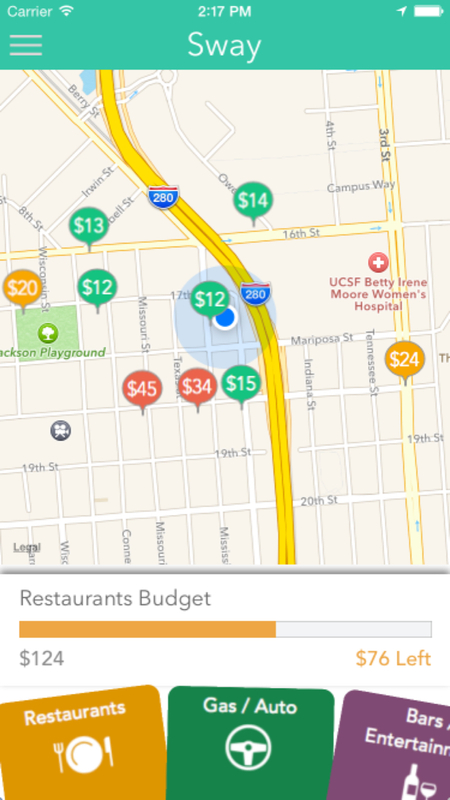 In addition to seeing their budget front and center when they are using this search feature, they also see a predicted amount they will be spending at that restaurant, bar, etc. How much has this user spent at that particular restaurant before? How much has this user's friends spent at this restaurant, or similar restaurants before? How much have people generally fitting this user's profile spent before at this restaurant or similar ones (people with the same age range, residence, income level)?